Sep 6, 2017 › Categories: Got Beer? Got Beer? Fall = fests + wursts + more! As usual, seasonal creep has been in effect for a few weeks – the pumpkin beers and Oktoberfests are stuffed onto shelves and flowing out of taps. But also, as usual, the year’s biggest – and best – beer bashes are on the horizon. So here’s the Got Beer? guide to where to find the Big Get Beer! events in the coming months. 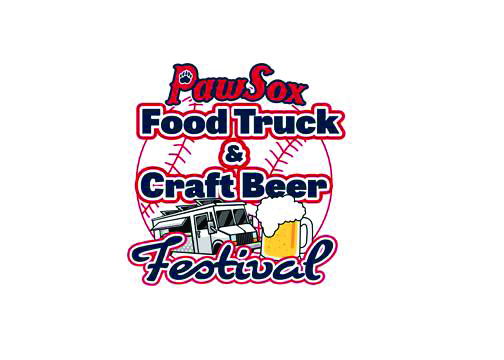 There’s a new entry on the “fall” schedule: the PawSox Food Truck & Craft Beer Festival, rolling into McCoy Stadium on September 16 from 6 – 10pm (playoff/rain date is the 23rd). The event will host 15 breweries (including five locals) and more than 20 food trucks, all lined up on the warning track. 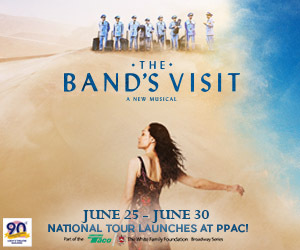 Packages include 10 drink tix, a $5 food voucher, two PawSox tix and other variables. Get the details at pawsox.com. The official Oktoberfest – the 184th annual mega-excess-fest – will take place in Munich from September 16 through October 3. You can enjoy the next-best-thing at Oktoberfest 2017 at the German American Cultural Society (78 Carter Ave) on September 30 (1 – 11pm) and October 1 (Noon – 5pm). Belly up for a bunch of beer and brats and wursts and (cow)bell ringing, and succumb to the booming sounds (oom! pah!) of the Bavarian Brothers Band and Alpenblumen Musikanten, and marvel at the folk-dancing maniacs from the SGTV Alpenblumen Schuhplattlers. As the GACSRI folks say, “Something special happens when people of all ages, shapes, sizes and backgrounds come together in the spirit of Gemütlicheit. We call it Oktoberfest – and it’s on!” (gacsri.org). And on October 7 (Noon – 8pm), the 25th annual Oktoberfest! will move it on over to Bold Point Park in East Providence. It’s not quite as authentic as the Pawtucket bash, but offers the same mix of Bavarian flavor and fun (riwaterfrontevents.com/international-oktoberfest). Head to Woonsocket on October 5 for the 5th Annual Stadium Beer Fest, a fundraiser for the opulent theater on Monument Square. The event features unlimited sampling from breweries and vineyards; check the list-in-progress and get tix at stadiumtheatre.com. OK, let’s get to The Big One. The ninth annual Beervana Fest is on Friday, October 20 (6:30 – 10pm) at Rhodes-On-the-Pawtuxet in Cranston. We’ve written about Beervana a time or 12 through the years and we’ve made it abundantly clear that we deem it the state’s supreme beer event. The Beervana brain trust, Mike Iannazzi of Nikki’s and Brian Oakley of Julians/Pizza J, are once again striving to top their previous fests, filling both levels of Rhodes with 60 tables featuring more than 250 beers – an extraordinary array, a bevy of ultra-rare/exclusive/unique/simply excellent liquid gold poured by pros (owners, brewmasters, distributors) who pride themselves on raising the bar for better beer. Brian gave us a few teasers about Beervana ’17: First-time attendees include Oxbow, Good Measure, Kent Falls, Single Cut and Finback. And one of the seminars will be presented by Hugh Sisson, the founder of Heavy Seas. Tix are on sale now (and yes, they will sell out in advance); get ’em at beervanafest.com. We can now state without argument that Beervana is the supreme beer event of the fall, because the long-running Great International Beer Festival isn’t happening this year. It would have been the 25th annual bash at the Rhode Island Convention Center, but the event is in limbo for now. The Great International Beer, Cider, Mead & Sake Competition, a beer-judging session (not open to the public), which had been held the day before the GIBF, is still alive and well, and the 21st annual will take place in Bridgeport, Conn, on November 11. We’ll share the 401 winners with you, dear readers, in a future column.